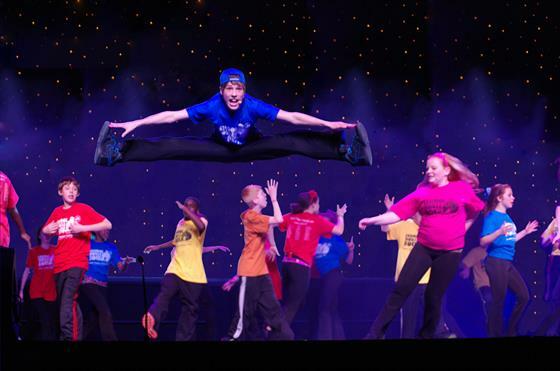 Broadway Junior™ has all the ingredients you need ... just add kids. Developed by renowned educators, Broadway Junior™ musicals are condensed, author-approved versions of classic musicals, Disney favorites and modern works, custom-tailored to the needs of young people and schools. The music is written in keys appropriate for developing voices, and all shows can be expanded to accommodate as many performers as can fit on your stage. The best part is that our state-of-the-art ShowKit® of materials includes everything you need (scripts, scores, production resources and more) to produce your musical. Download a FREE excerpt from the Script and Director’s Guide for Disney’s The Lion King JR. So you want to put on a middle school musical? Picking the production just may be the hardest part! Which show is best when you have a lot of first-time actors? What about when you have a small budget for scenery or costumes? 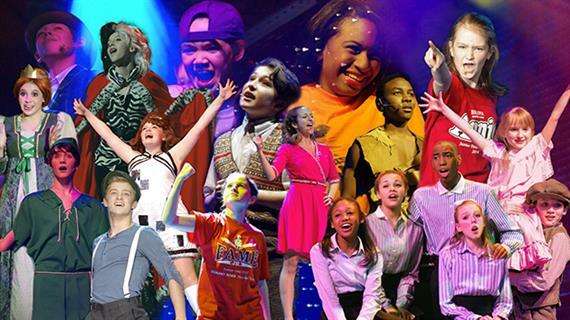 To help make that big decision a little easier, we talked to experienced drama teachers and compiled their recommendations for the best Broadway Junior™ musicals for different casts and audiences. Best for a middle school’s first foray into theater. 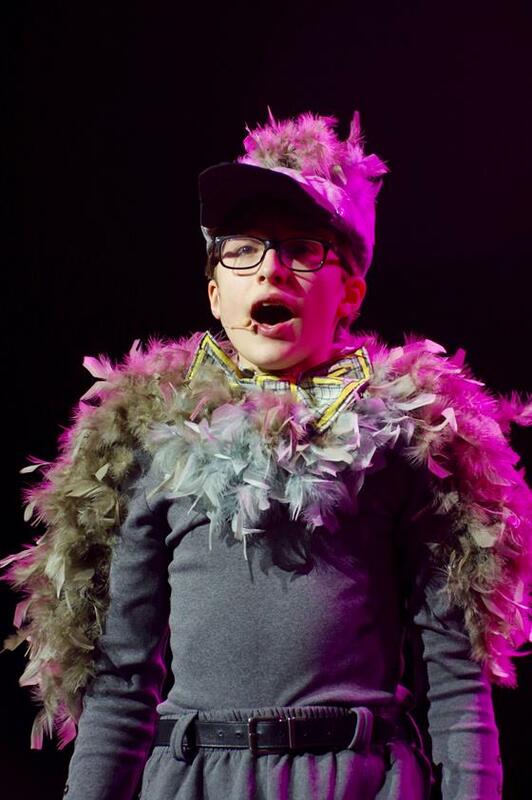 What drama teachers say: This modern adaptation of the classic Ugly Duckling fable teaches the importance of diversity and has a toe-tapping score. Themes of self-acceptance and embracing differences in the community provide important lessons beyond the cute animal roles. If you have school staff who are new to directing performances, Honk! 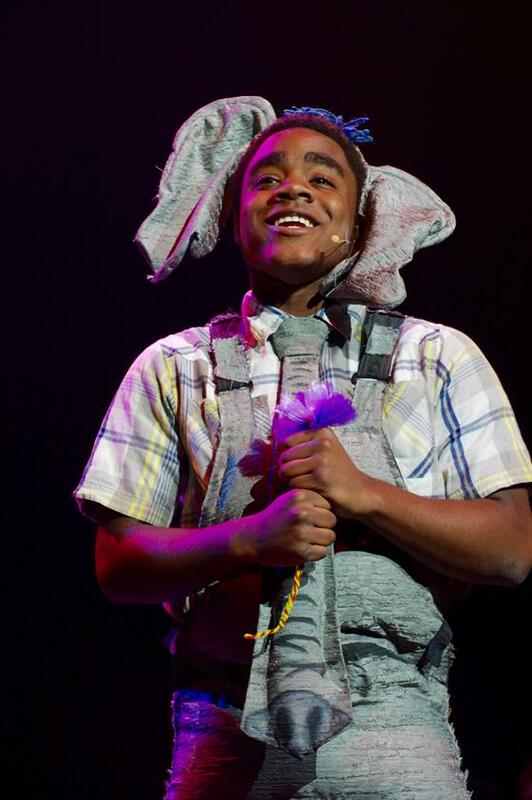 JR. is an ideal “first pick.” With simple musical harmonies, an accessible story, unisex casting and flexible costuming options, this crowd-pleasing production is also as hassle-free an option as you will find. 2. 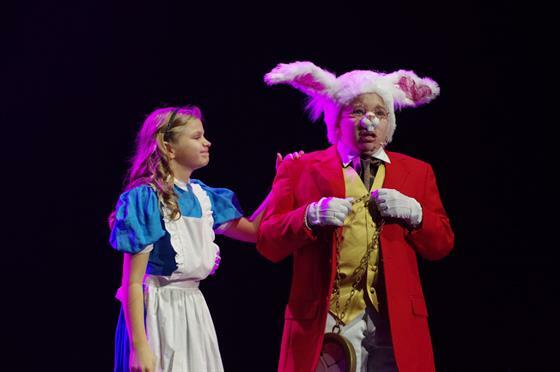 Disney’s Alice in Wonderland JR.
Best for young middle schoolers and actors new to theater. What drama teachers say: Logic and reasoning lessons abound, ironically, within the seemingly nonsensical lines and songs in Disney’s Alice in Wonderland JR. Students will find themselves learning the basics of analytical thinking while singing, dancing and experiencing their first foray into drama. Disney’s Alice in Wonderland JR. is a great choice for a production for the youngest grades in your middle school. The episodic story line means the script is easy for even fourth and fifth graders—and first-time actors—to master. 3. 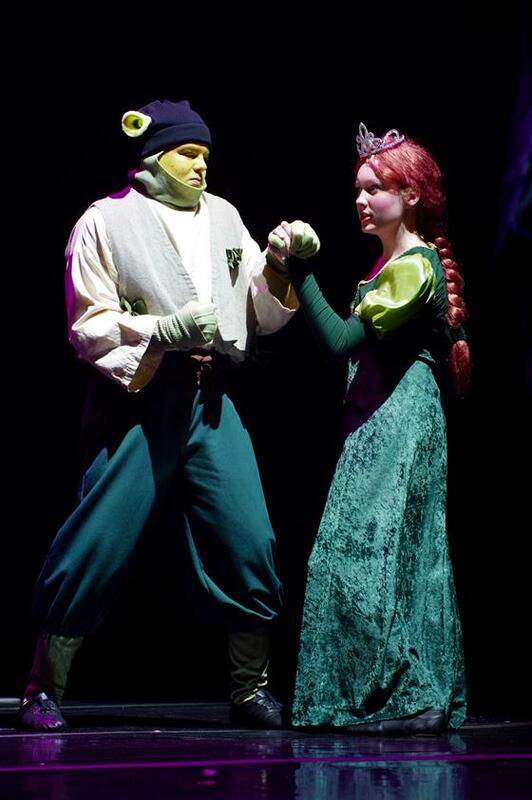 Shrek the Musical JR.
Best for strong male and female leads. What drama teachers say: Everyone’s favorite ogre from the oft-assigned novel, animated movie and Broadway musical leads a cast of storybook misfits on an adventure to rescue a princess and find true acceptance. Part romance and part twisted fairy tale, Shrek JR. brings the message of “beauty is in the eye of the beholder” to life. This production features strong male and female leads, as well as a host of fairy-tale creatures in the cast. The fantastic settings will turn your school auditorium or gym into a living fable. If your middle school is full of light-footed students, put their dancing skills to use—this musical provides great opportunities for choreography and large dance numbers. 4. 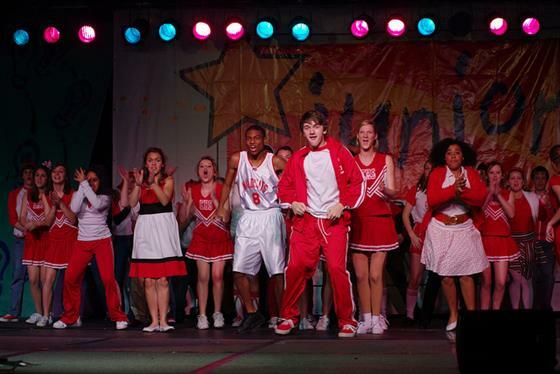 Disney’s High School Musical JR.
Best for a sports-enthused school. What drama teachers say: We’re all in this together! Our teachers love how Disney’s High School Musical JR. turns the age-old story (in which we learn a girl “needs” to change to please a guy) on its ear as two seemingly different students come together in a sweet romance based upon their shared love of music. The themes of dispelling cliques and student stereotypes are admirable and relatable. Students will love playing the age-appropriate roles, and the high school setting makes sets and costumes a breeze. A fun option: Recruit a school team to participate as a group in the basketball-player roles. 5. Schoolhouse Rock LIVE! JR.
Best for simple set and costume design. What drama teachers say: The enduring 1970s musical cartoons (“I’m just a bill, yes I’m only a bill …”) that teach kids social studies and history are now a show full of musical lessons that the student performers teach their audience. T-shirts, jeans and a school stage or gym are literally all you need in the way of costumes and sets. Beyond that, it’s up to your arts budget and students’ imaginations (and sourcing props from students’ homes). And the catchy songs are easy to learn and educational to boot. Best for a girl-heavy cast. What drama teachers say: If your students, especially the girls, can use some social-emotional learning, the heartwarming musical Dear Edwina JR. is a great choice. The adventures of Edwina Spoonapple, neighborhood dispenser of advice and director of her block’s variety show, make for a show-within-a-show format and a story heavy on the meaning of friendship. Whether you have an all-female campus or simply a majority of girls interested in participating, Dear Edwina JR. works for a cast made up of mostly girls. There are a host of supporting roles that can be distributed widely or doubled (or even tripled) depending on your cast size. The story takes place in a modern school setting, making for easy sets and costumes. Best for a large ensemble of small roles. What drama teachers say: Author Hugh Lofting wrote the celebrated children’s novel Dr. Doolittle in letters to his young son while fighting in the trenches of World War I. This context provides historic weight to the lighthearted story of talking animals. 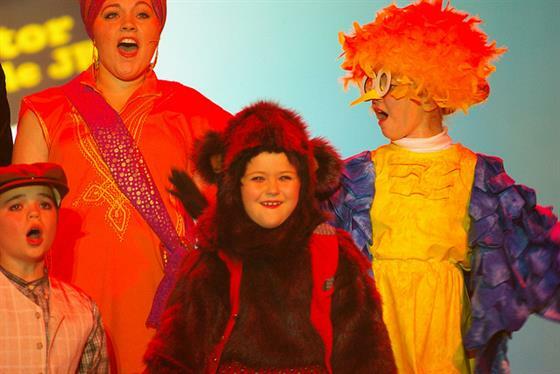 Dr. Doolittle JR. gives teachers the flexibility of casting performers of all ages and types, and even the most reluctant performers can be included thanks to the large number of short parts for talking animals. Best for a cast of multiple grades. What drama teachers say: Annie JR.’s got it all—a cultural icon of a child heroine, hook-tastic songs students will adore singing and an important history lesson on the Great Depression—all rolled into one classic and caring musical. A strong and plucky Annie and brash (but lovable) Warbucks provide fantastic female and male leads. There are also plenty of featured roles, such as secretary Grace and mutt Sandy, as well as ensemble parts for orphans, servants, New York City tourists and more. The wide range of parts also makes this a great choice for multiple grade levels. Best for ensuring a part for everyone. What drama teachers say: Vocabulary learning has never been so much fun, or so perfect for the stage. The well-loved books and tongue-twister rhymes combine to teach students the complex words and Golden Rule concepts anew, with a hefty dose of silliness. The characters of Dr. Seuss are vast, making this musical perfect for schools that would like to assign a special role to every participant. We love how in just 60 minutes, Seussical JR. can easily accommodate “Seussian” roles and lines for as many students as needed. 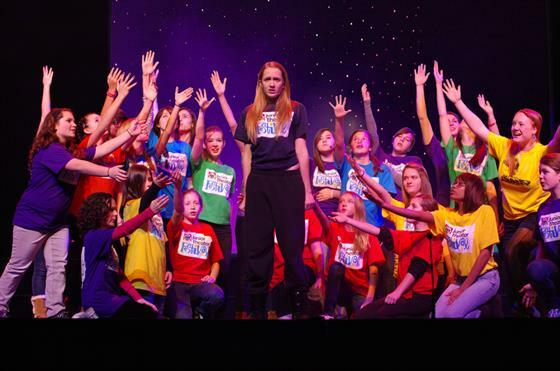 This blog is part of the series on Theatre in the Classroom sponsored by Music Theatre International (MTI), the creators of Broadway Junior 30- and 60-minute musicals for young performers. Learn more at broadwayjr.com.